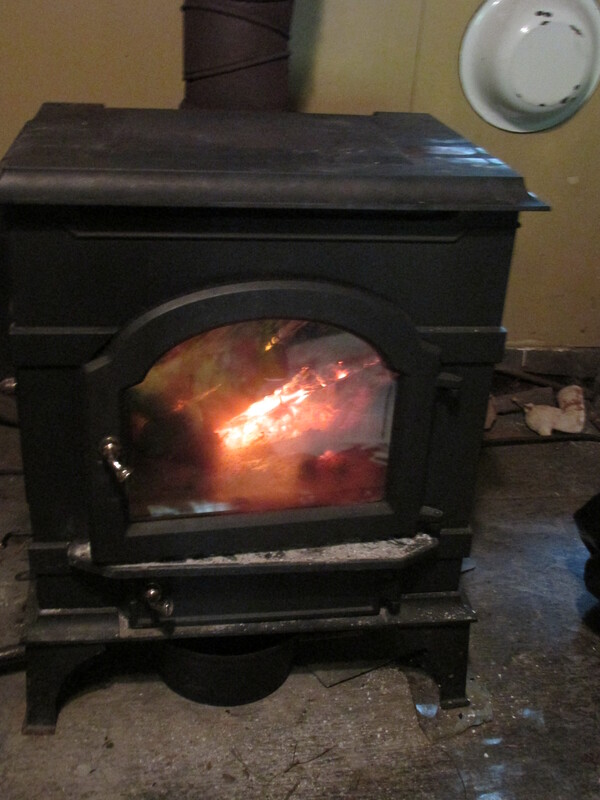 I can’t believe that I had to light a fire in the stove this morning. It was only in the 40’s here. More rain coming in so trenches were dug this morning and will be checked tonight. We have had curious weather this spring. The one thing I can count on each year is the Jewelweed plant . It really doesn’t care if its warm or cold it just grows and grows. I have pulled about 1000 plants and have so many more to get out before seeds form. It’s been years in the making and now it will become a pillow. It will not fit into the footstool frame. I will cover the footstool with a paisley material that I love. 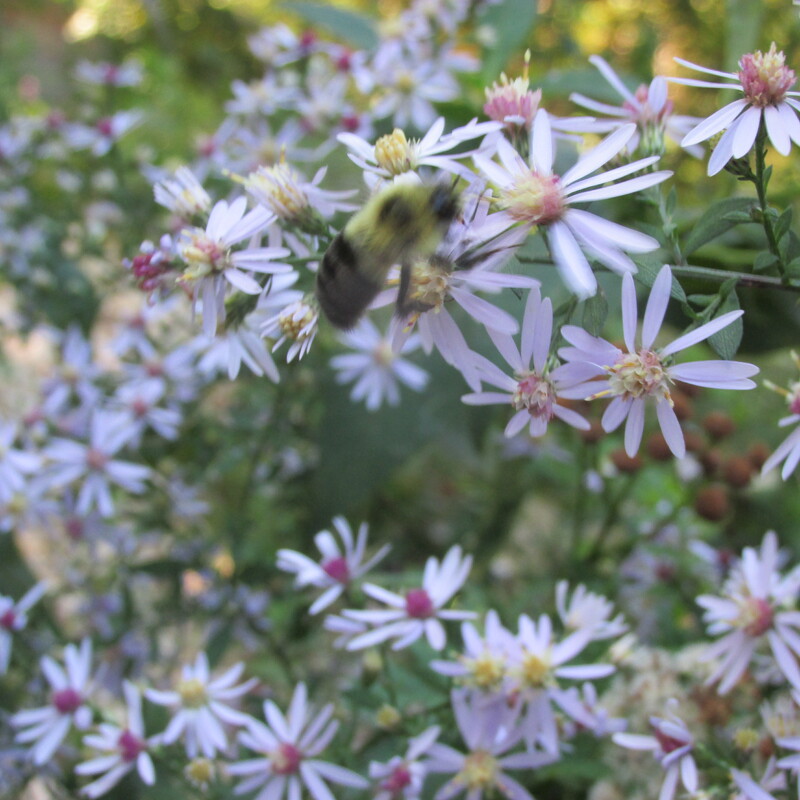 Its listed as a Federal Noxious plant. 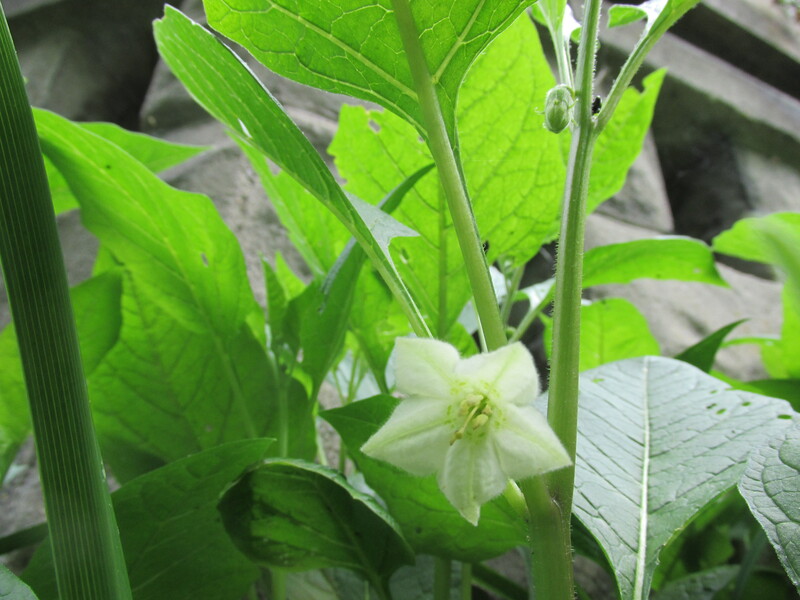 It can grow up to 14 feet tall with leaves as large as 5 feet across. DO NOT TOUCH THIS PLANT. 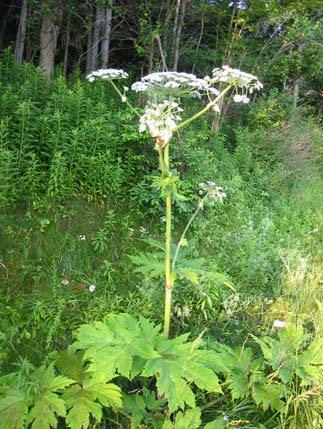 Touching the sap of this plant can cause sever burns, permanent scaring and even blindness. They have come back this year and multiplied. 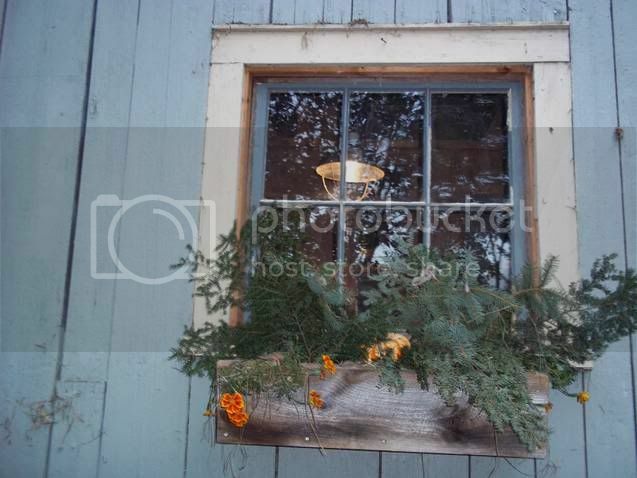 I am glad I do love them in fall decorations. I am gathering and drying herbs for the chickens i the winter. 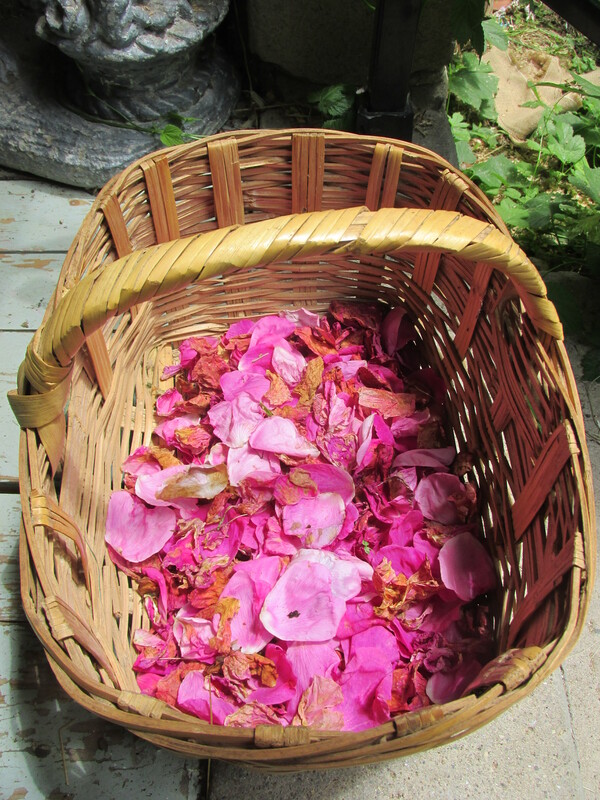 Today I picked the rose petals that fell on the ground. I will dry them tomorrow. I was giving one last check to the hens and into the barn walks Cornelius. He was looking for the helmet bugs on his way upstairs. I am cautious as is he. The spring is such a busy time on the farm, with shearing, getting hay in getting the yard in order and a show to do right when I should be planting. So things are very late this year. I am lucky that there was no serious frost or I wouldn’t be picking these string beans and all would be lost. In our area the common time to plant is after the end of May. Next year I will plant mid-may and take my chances at least with beans and pumpkins. 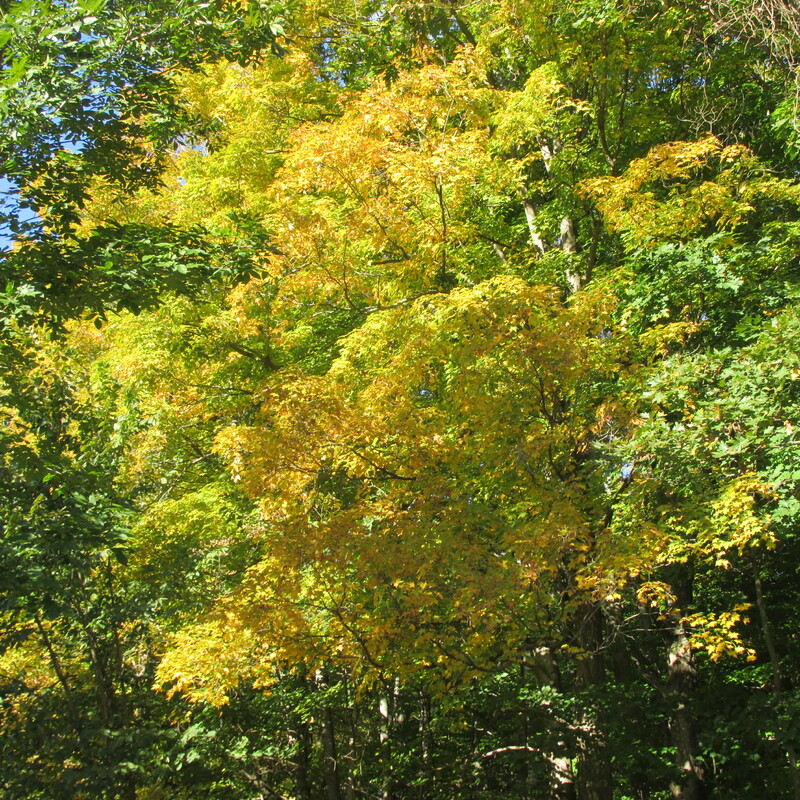 Fall is here and with it comes changes. 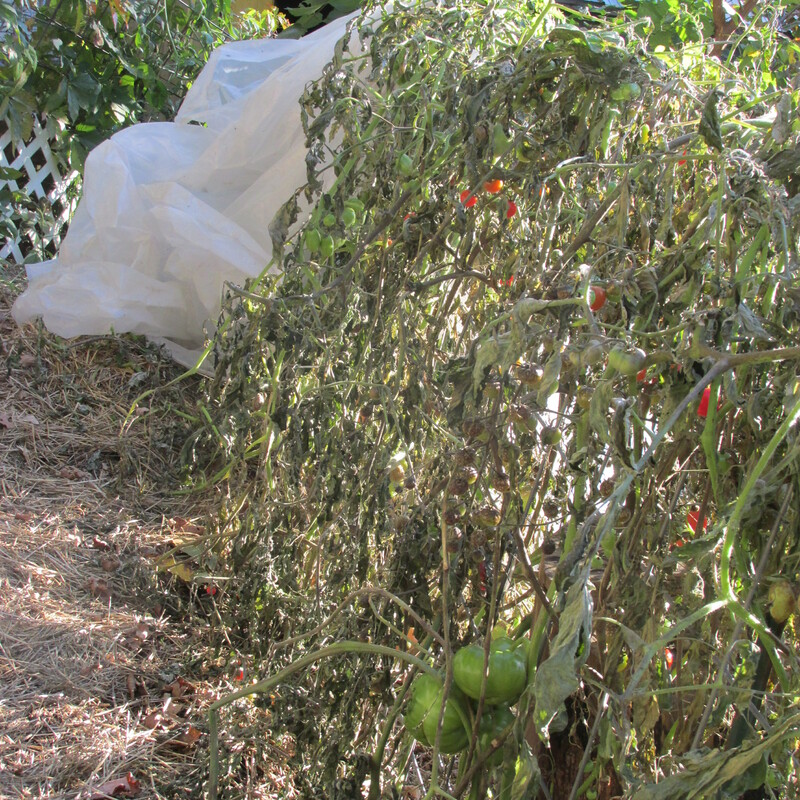 The tomatoes are still ripening but the vines are dying off. Acorns are falling and the sheep do love them, so do the squirrels. I do think the sheep get more of them than the squirrels do though. The days are shorter and the nights require some heat now. There are so many chores to do and I am trying to get them done. 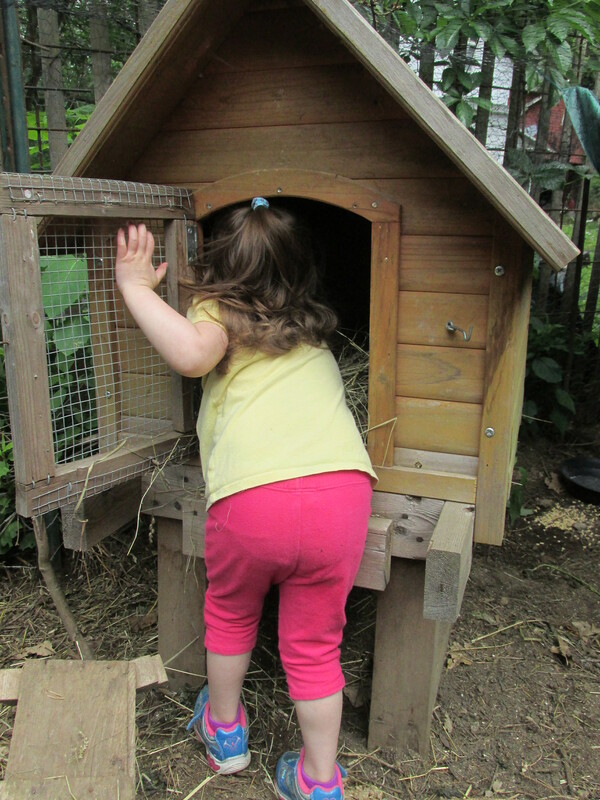 I am insulating the back hen-house, hoping it will keep some of the dampness out. 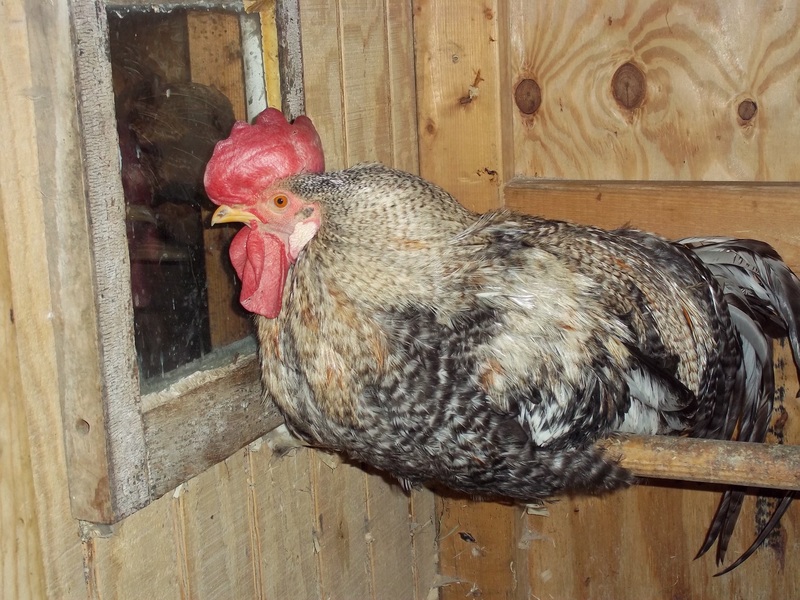 Windows need to be put back in the hen-house and the barn. 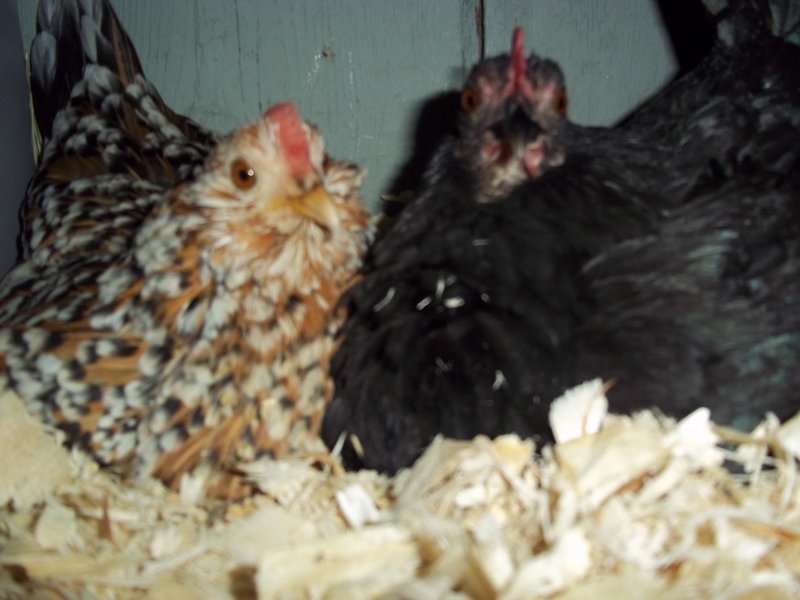 Sweet Annie and artemisia need to be picked tomorrow and the barn cleaned again. Manure needs to be spread, these things need to be done soon so I can devote the rest of the week to making things for the show in a couple of weeks. The bumble bee’s are our in force today . 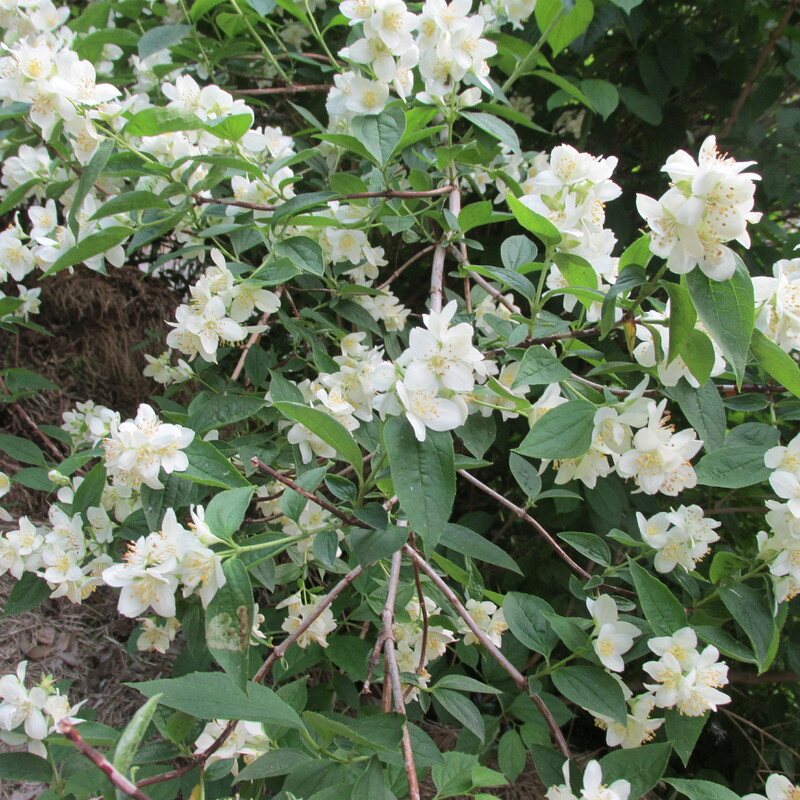 The Mock Orange is glorious this year. Yesterday I spent a good part of the day getting some of the tomatoes in and some green beans. 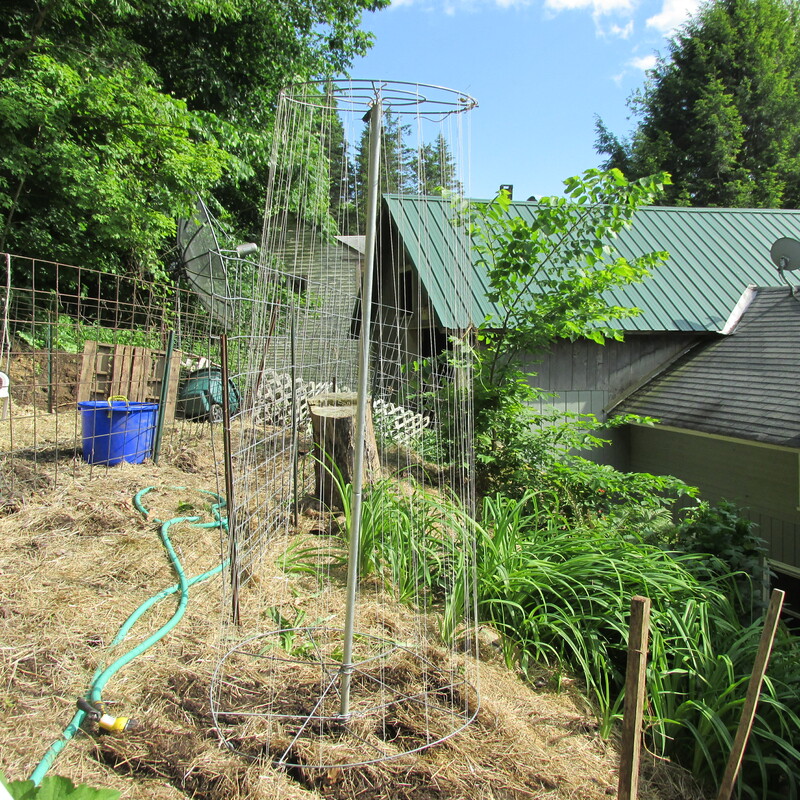 I needed to fix a few fences and the netting in the outside coop. Today I planted a dozen peppers before the rain got heavy, I have 6 more to plant another day. I decided to plant tomatoes on a cattle panel fence. I think today I planted half of them, I have room for about 1/4 more so the rest I will scatter around the yard. I put up the bean poles which I bought last year. I do really love them, you can grow a lot of beans on them. I will plant the two in pole beans and have also planted a row of bush beans. The pathway down from the sheep which was dug up by the big machinery has been planted in clover and timothy and hay covering it to hold the seeds. On the side of this was manure from last year which I never spread around. I planted hubbard squash, cucumbers and some pumpkins there plus a row of bush beans. I hope they do well there. We are getting lots of heavy rain today with more off and on this week so the back can’t dry up. The spring was running pretty well today. 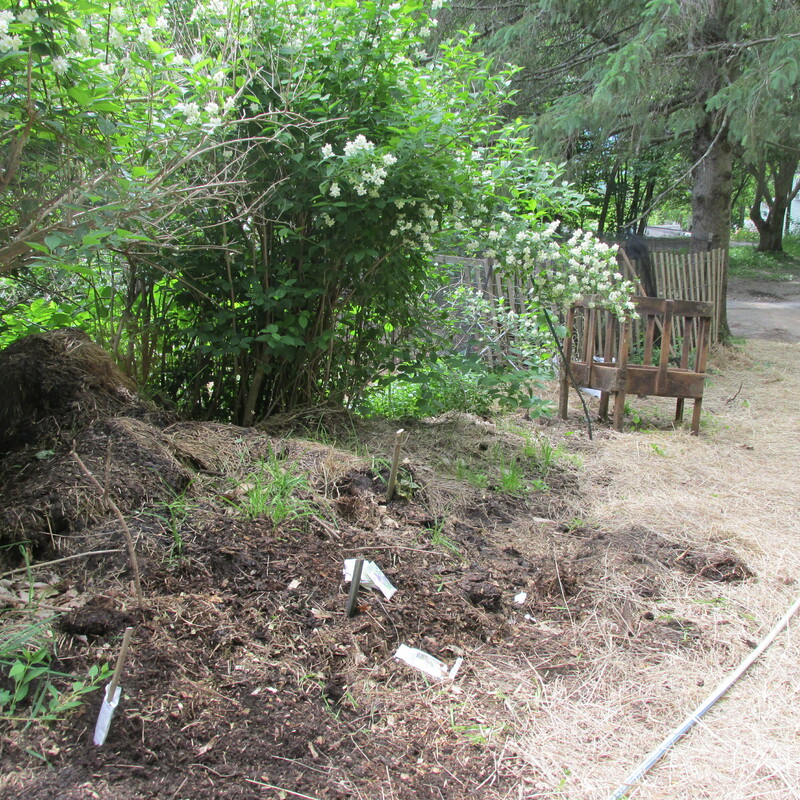 I have been thinking of digging a pathway down through the pasture and putting small stone in the trench. Maybe it would lead to a pipe and I could pipe it somewhere. My son tells me that there are springs all over the mountain in back. 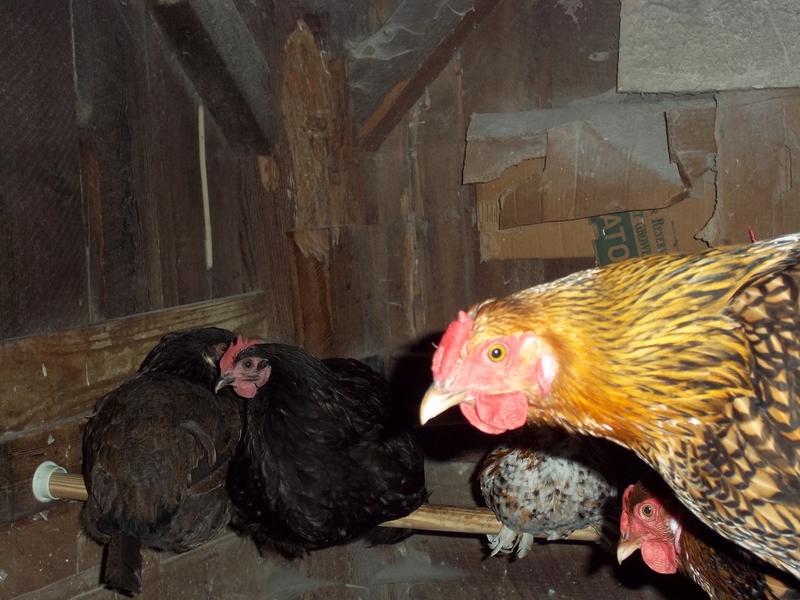 Everyone in the barn is settling down now. But in the outside caravan there is a mystery. 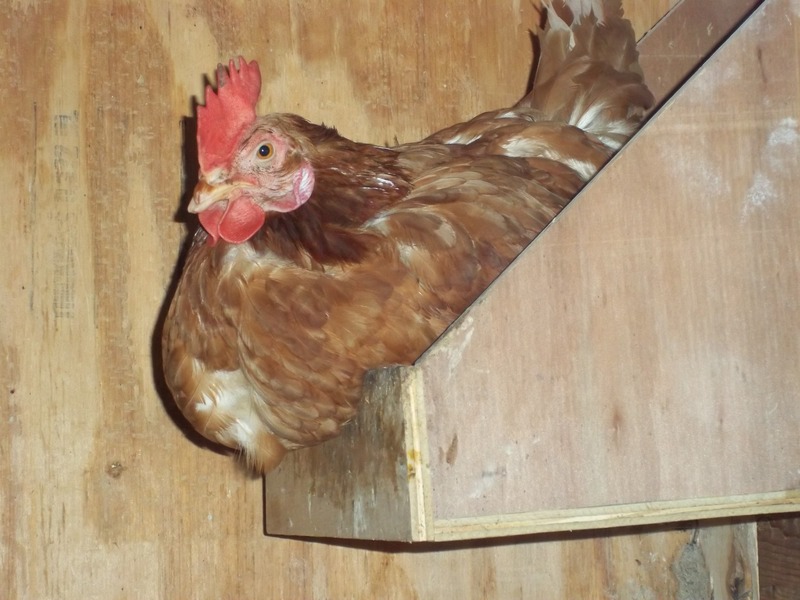 I noticed that Helen the white hen was really picking on Hester over the weekend, I also noticed that everyone seemed to laying eggs except Helen. Today there were 6 eggs in the nest and a smashed up white one. 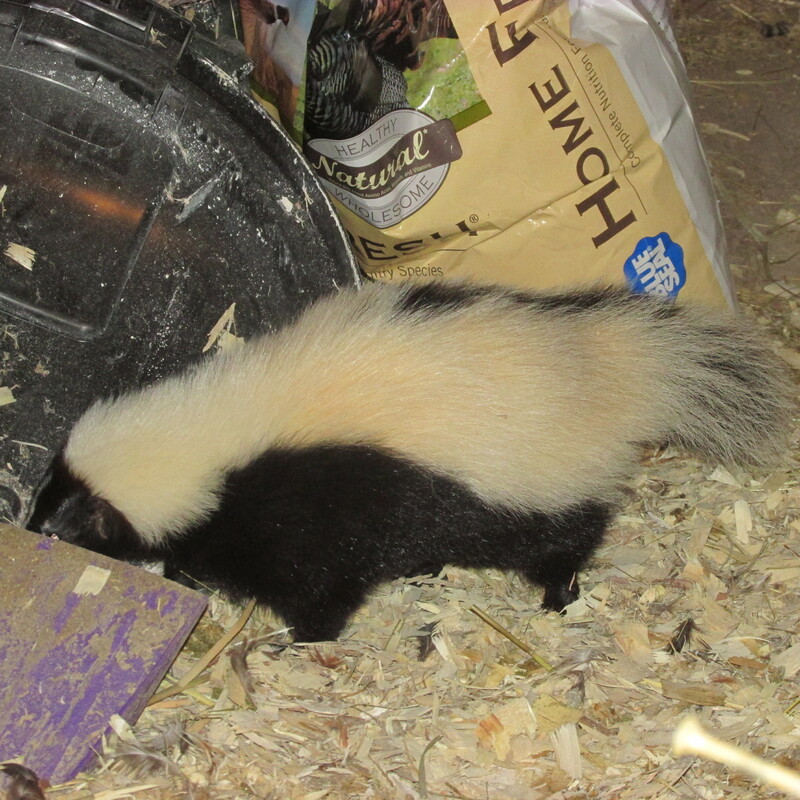 I just wonder……………………….Hester are you getting your revenge!!!!! The water has stopped for the time being in the barn.The temps are barely above freezing today. Snow flurries have been about all day long but not amounting to much. Minnie has been out and about all day. 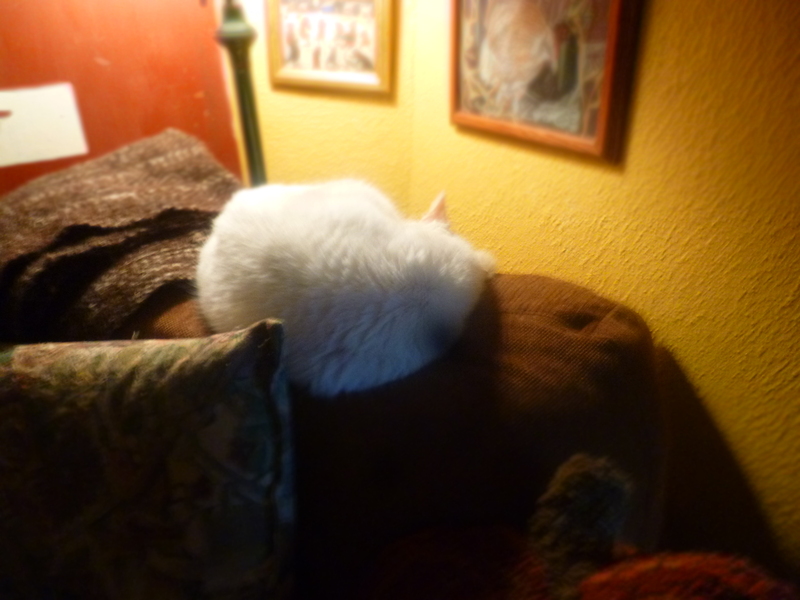 She finally settled in on top of the new chair for a good afternoon nap. She gave poor Sam a hiss and a clip and the same with Willie. I think they all have to work out things. They certainly know that although it’s a white cat it certainly isn’t Ernest Dodge. I think she may have a thyroid condition as she is so thin, Dr. Funk will check that out on Thursday when she goes for her appointment. I have gotten 8 eggs so far today. I am totally surprised because I could not keep the lights on while the water was coming down into the bottom of the barn. I have been so lucky with all my hens. The blue egg on top is from an 8-year-old hen who took a year off and just started laying again about a month ago!!!!! I wove the towel many years ago. Made quite a few of them. This one is very worn. Cindy and I are heading to Florida on Saturday Night. We are having a meeting with hospice to discuss Moms care and visit with Mom. We are both looking forward to the trip as we haven’t seen Mom since November. I am sure we will notice a huge change in her, it’s that way every time. It will be nice to be somewhere thats warm and to be able to swim, although I heard from my friend Debbie that its 60 there today, which is chilly for Florida but will feel like a heat wave to us. A few days ago I saw an ad in my local poultry group online. 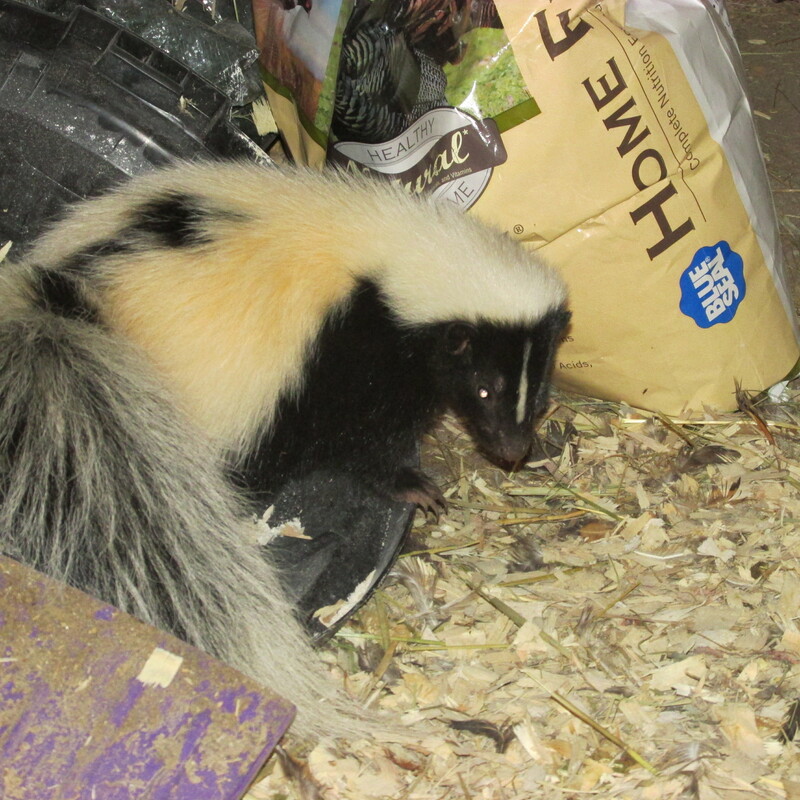 It was offering part of a ton of organic layer pellets for sale. I don’t know about your part of the world but organic layer pellet prices have been soaring and so have other organic grains. I called and had Dimitri put 3 bags aside for me and I picked them up this morning. Dimitri owns Woodstar Cafe’ in Northampton. It is a family owned bakery, sandwich shop and espresso bar. He has 31 hens and uses all the eggs at his restaurant and he also grows all his own greens, some fruit and veggies at his farm nearby. He uses no trans fats and all of his baked goods are baked from scratch. It is wonderful to have a local restaurant who cares so much where his food comes from that he grows it himself. The food is called Morrison’s Organic Layer Pellets which is my Mother’s maiden name. I am sure my hens will love it and I like pocketing the savings. I purchased 2 more package of tomato seeds and I think I will purchase two more and that will be more than enough. I have done more calculating on just what type of tomato and what I am planning to do with them this year. I have picked out another Heirloom tomato. Its called Principe Borghese by Botanical Interest seeds. It has heavy yields and is traditional for oven roasted or sun-dried. I would really like to do some sun-dried tomatoes this year. Minnie had another good day. 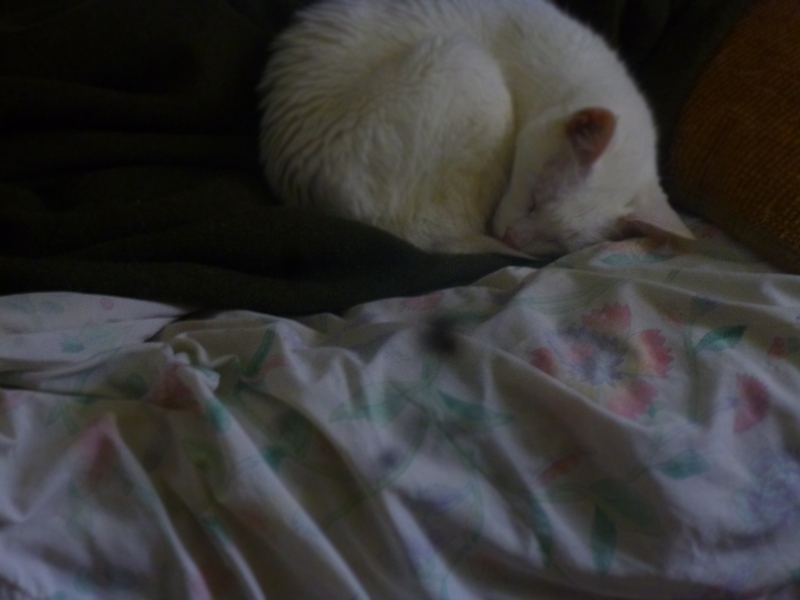 I decided to give her another day to feel really secure in the bedroom. She knows there are other cats out there and the other cats know she is here. Tomorrow I will let her out watching Angus every moment. Well I am finishing up the day doing something I did not even think about this morning. On my way back from the Farmers Cooperative I stopped at my local farm stand to get some corn. 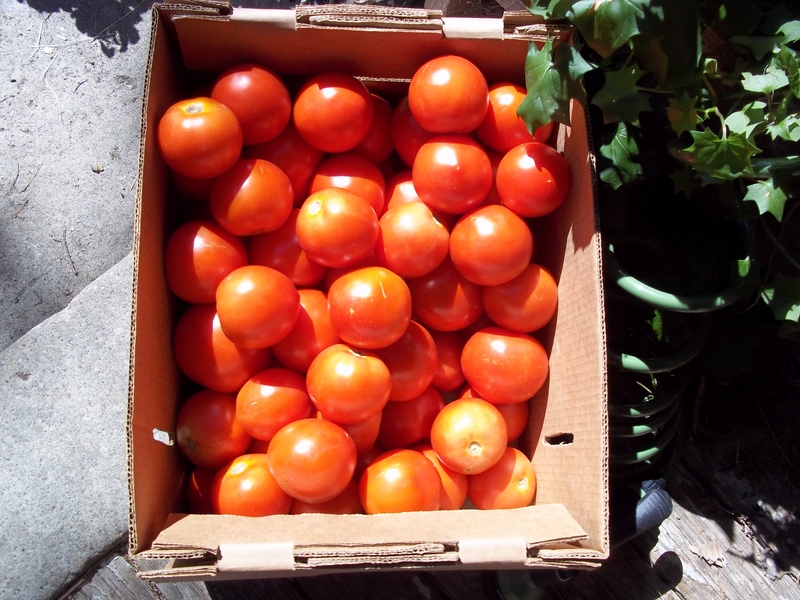 The farmer stopped to talk and I asked him if I could have a box of tomatoes tomorrow. Well they had them today. went into the pot. After this is done I will add a small amount of sugar to cut the acid and put them into freezer containers. In the winter I will use them in soups, spaghetti sauces. goulash and many more things. I found this to be an easy way to get the job done and you are not standing over a hot stove for most of the day. No news on the hatching front. Soon I hope. 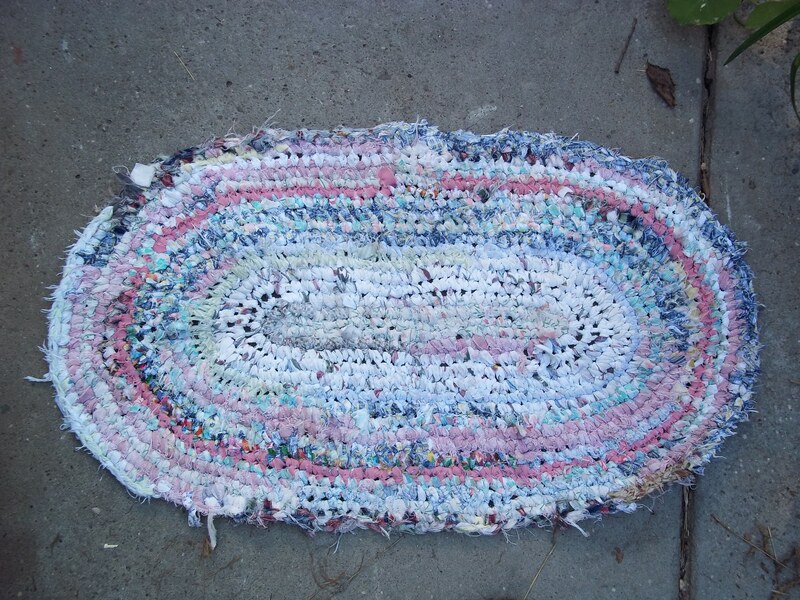 This is a rug I crocheted in FLorida last winter. It’s a small rug that I now use in front of my back door. Its probably 3 feet by 2 feet. It is made from old torn sheets, nightgowns and other clothes. There is a single sheet and a full size sheet in this plus the clothes. It didn’t take long to make and will last a long time a second use for the clothing and sheets that are in it. I do love recycling like this. Today was a beautiful day not too hot and not too cold. Tonight will be just right too. It was my grandson Rickys 14th birthday. The chickens really enjoyed the day as I was cooking corn to freeze and they enjoyed all the cobs with some corn left on them. 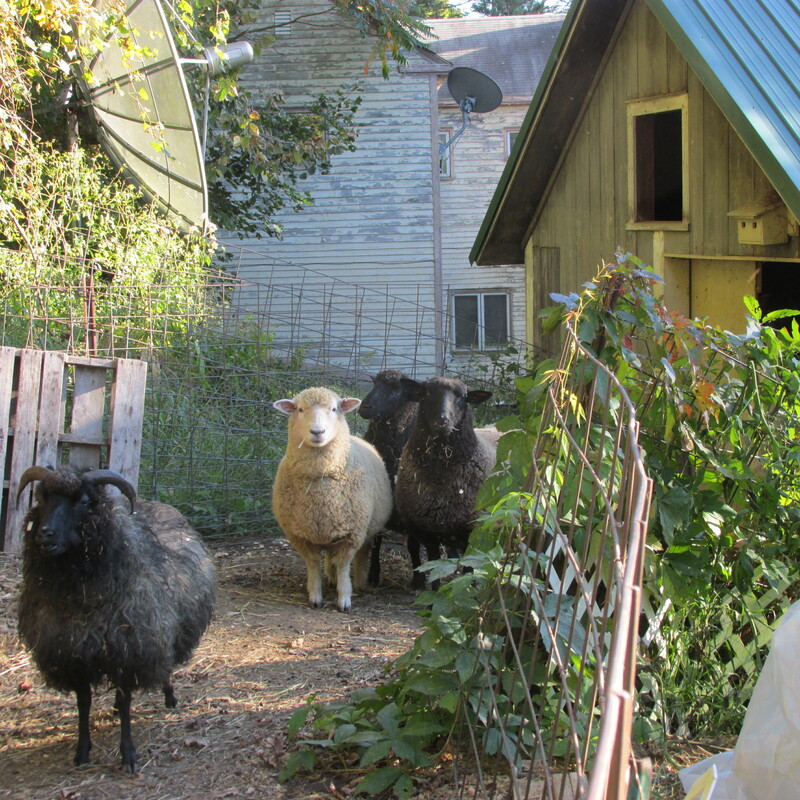 The sheep had the silks and the greens from the corn, everyone is happy. 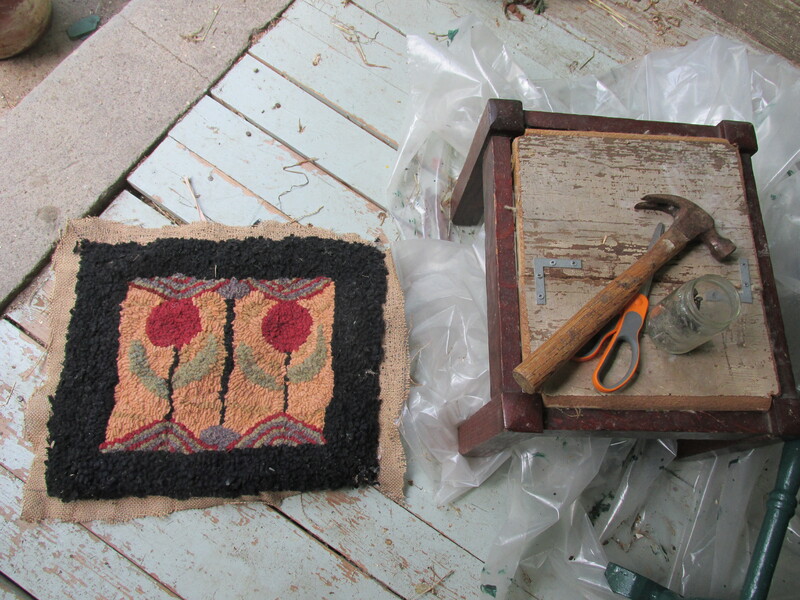 I am so happy how this rug is turning out and its so much fun to hook. This cat is Shorty. I may or may not spray his feet with tea after the rug is done, it’s too soon to tell now. 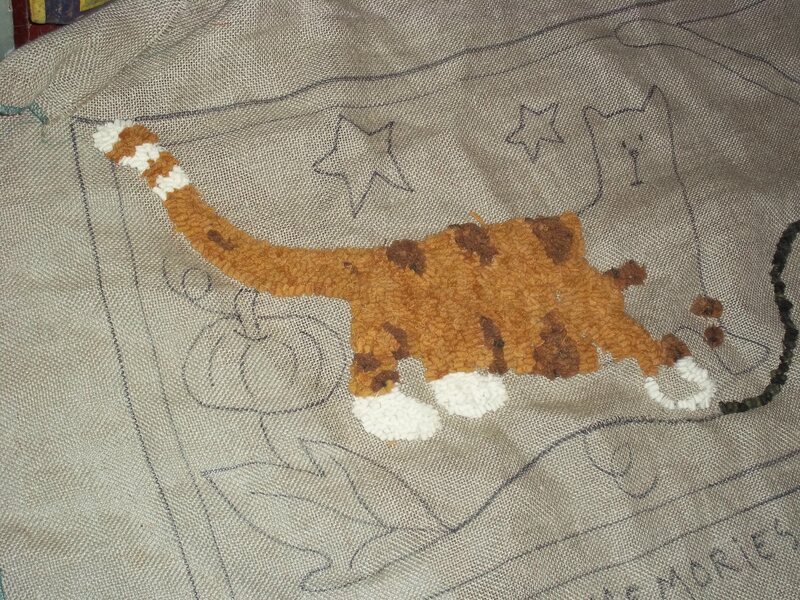 I am hoping to dye the background tomorrow. I want to do it in purples but I only will dye a small piece to see if its right. This is what I completed at the Fair yesterday. The two colors are perfect. I bought them from Green Mountain Rugs. I called her and told her that I was doing an orange cat and she sent me these colors. 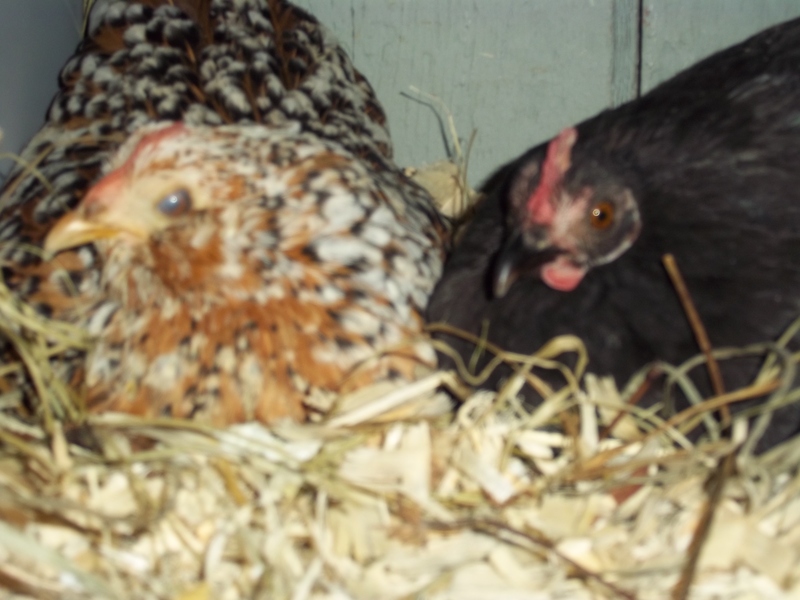 Mrs. Brown and Morticia are still sitting and by my calculations within the next 4 days and egg or two should hatch. I hope they won’t be disappointed. They have tried several times this year. Hester is happy tonight and I added some more shavings so she is really comfortable. The retired ladies getting settled in for the night. 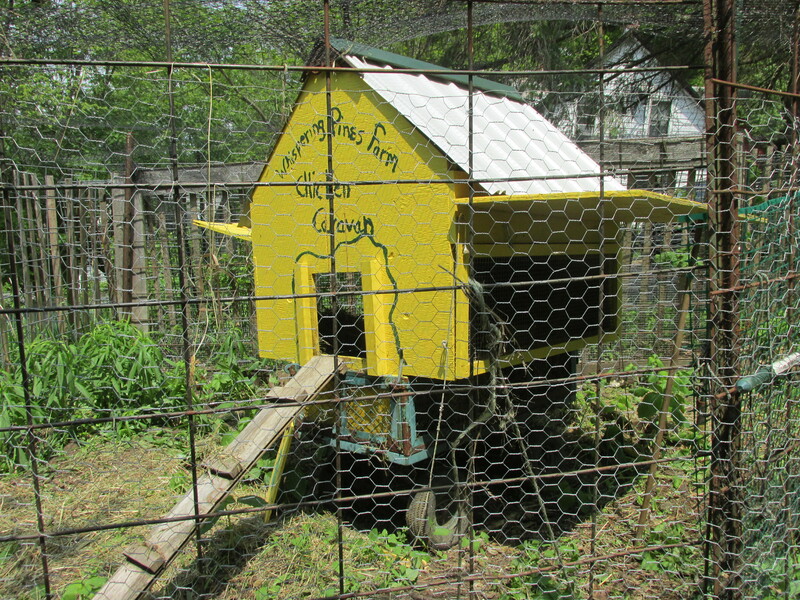 The black hen, Sally is 11 years old. Although she doesn’ t lay anymore she is very active and is out and about every day. This is Murphy, he has settled in for the night. He has a story which I will tell you about soon. 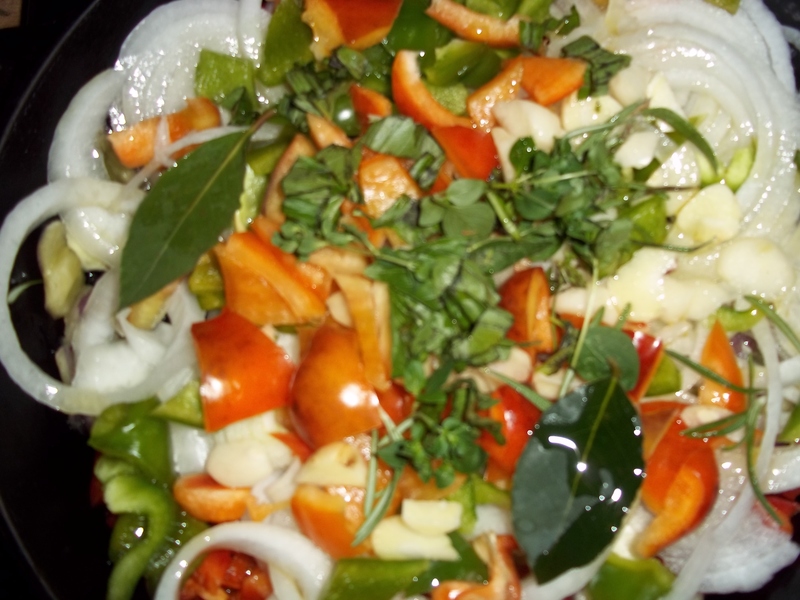 I am making Chopped SUey Pickles again. I did buy some red peppers and thought for sure they were the sweet ones but now I know one of them was hot. My son-in-law, Rick can’t wait to try them.